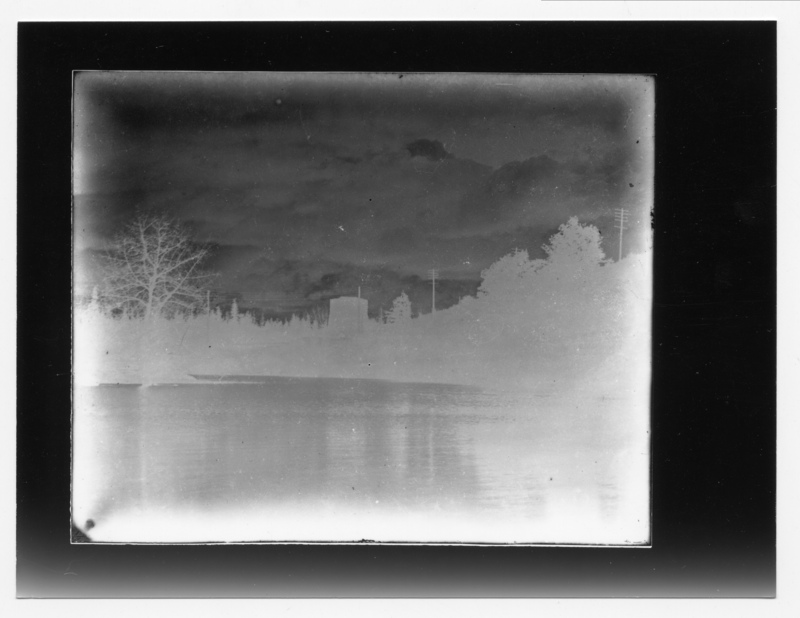 Description Negative image from the glass plate negative; photo taken by Will Bickner. Written on the envelope sleeve: Tower by Landing, oswego; Old Furnace. The photo appears to have been printed backwards as the orientation should be reversed.